Caitlin became interested in organic and plant-based living while studying Special Education at Eastern Michigan University. After working as Peace Corps volunteer in Jordan, Caitlin moved to New York City to settle into a year-long brainstorming session with her sisters on how to take their lives to the next level. 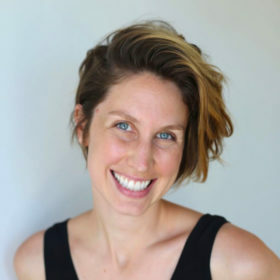 In 2010, along with her 3 sisters Julie, Jessie & Jenny, Caitlin co-founded the midwest’s first raw organic juice company, DROUGHT, which now has 5 brick and mortar locations, a nationally-distributed wholesale line and USDA organic certification. Caitlin is DROUGHT’s acting CEO, overseeing day-to-day operations of a team of 40 employees while cultivating strategic partnerships to grow the business. In December 2016, Caitlin was selected to be an Endeavor Entrepreneur.